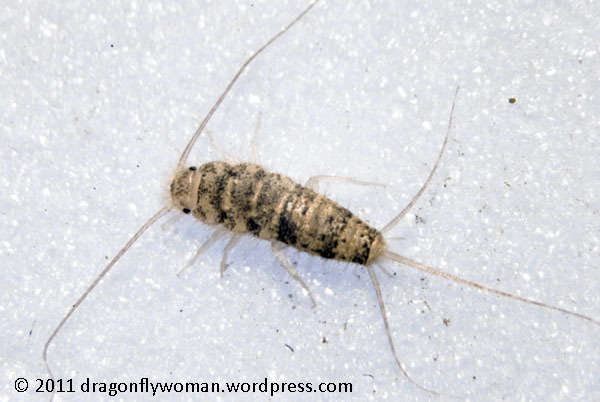 how does one distinguish the silverfish from a firebrat or other thysanuran? I am probably the worst person to ask about something like that! I know very little about the group apart from the fact that the firebrats are in one particular genus (Thermobia), but I’m honestly not sure what the distinction between those and the others are other than their preference for warm areas inside homes. I call them all silverfish, everything in the order Thysanura! Wish I could be more help, but I am not a taxonomist and identification of groups other than the aquatic insects is not my forte. Have you looked on BugGuide? There’s a lot of great ID information there that can help!